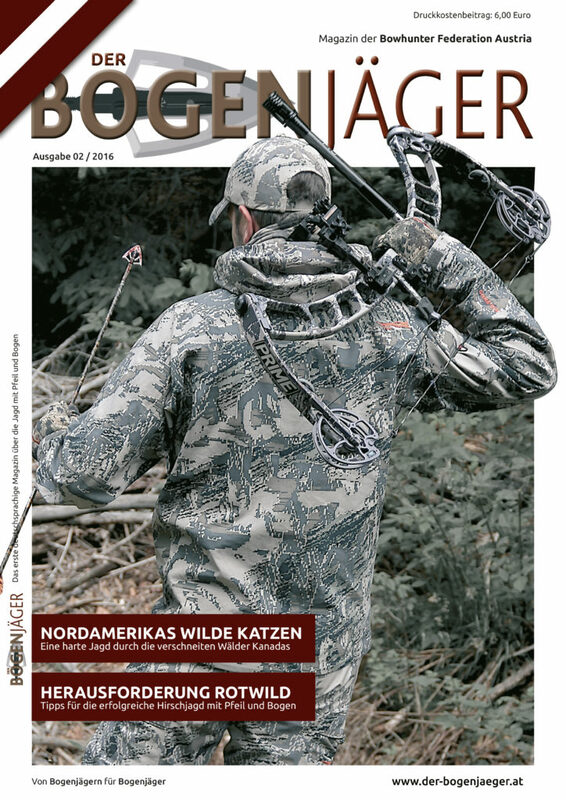 The Bowhunter Federation Austria (BFA) is proud to present the currently exclusive German hunting magazine dedicated solely to the art and tradition of hunting with bow and arrow. The content span from lively written hunting adventures to extensive coverages of bowhunting related matters, and presentations of bowhunting equipment like bows, bowhunting clothing, arrows, etc. 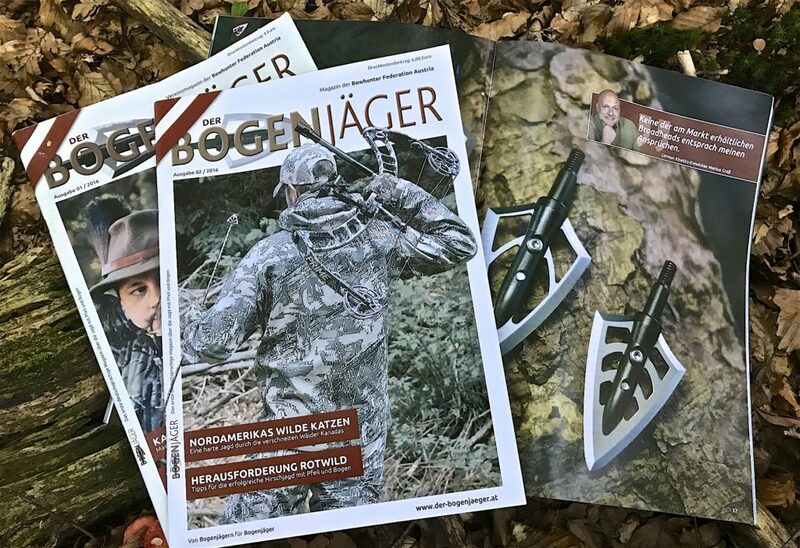 DER BOGENJÄGER is the only magazine for German speaking hunters who are also interested in the age old hunting with bow and arrow beside their other hunting interests. 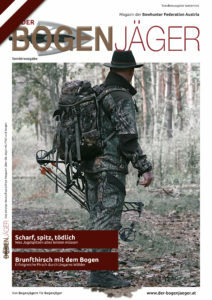 DER BOGENJÄGER is published twice per year. 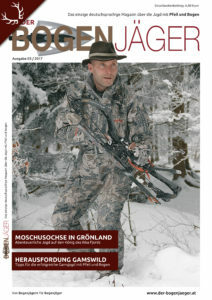 Subscriptions and distribution are offered to German speaking hunters worldwide. Subscription fee for one year is 25 Euros within Europe, 30 Euros rest of the world. To enter into a subscription is easygoing – just send us a short eMail with your name and postal address to abo@der-bogenjaeger.at and we will provide you with a respective subscription invoice. After receipt of the invoice amount on the stated bank account the applicable issues will be send by postal mail. A subscription renewal invoice will be send each year and can be cancelled without further notice. 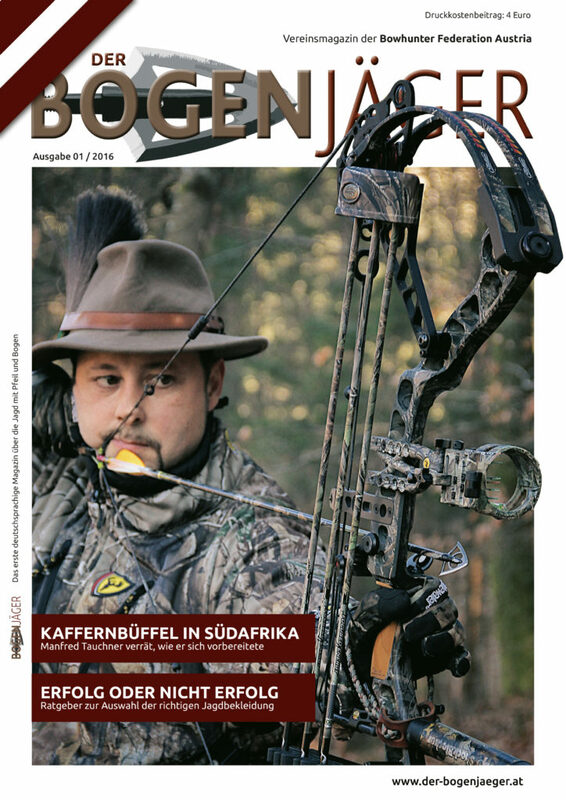 We wish all interested bowhunters pleasant time spend reading our magazine.